In a small bowl add the cranberries and enough warm water to cover. Allow to sit for about 5 minutes to soften. Drain well and set aside. 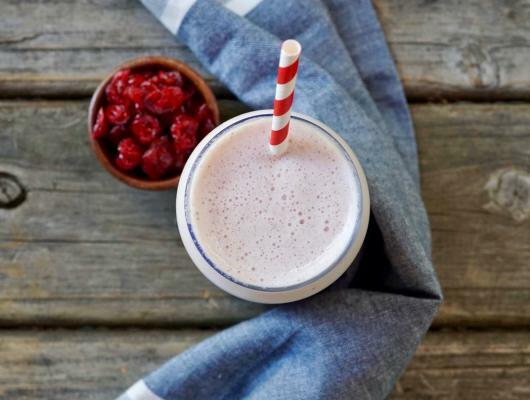 Place the drained cranberries, orange juice, almond milk, yogurt, almonds, vanilla, and ice into a kitchen blender. Blend on high for about 1 minute, stirring occasionally until completely blended. Serve right away. A seasonal and slightly nostalgic tasting cranberry-orange creamsicle smoothie. Trust me, it's totally addictive.